The program offers an Associate in Arts and a Bachelor of Science in veterinary technology. Students in each of these degree programs obtain a science degree that is supported by professional courses in veterinary medicine within the context of a comprehensive university education, including a core curriculum of General Education courses. The differences between the Associate and Bachelor's degrees are primarily in the number of Veterinary Technology and core curriculum courses and in the number of required number of internships. Veterinary technicians and technologists are integral members of the health care team. Veterinary Technologists/Technicians are entrusted with diverse medical responsibilities that include nursing care in a variety of species, laboratory techniques, anesthesiology and surgical assisting, radiographic imaging and client education. 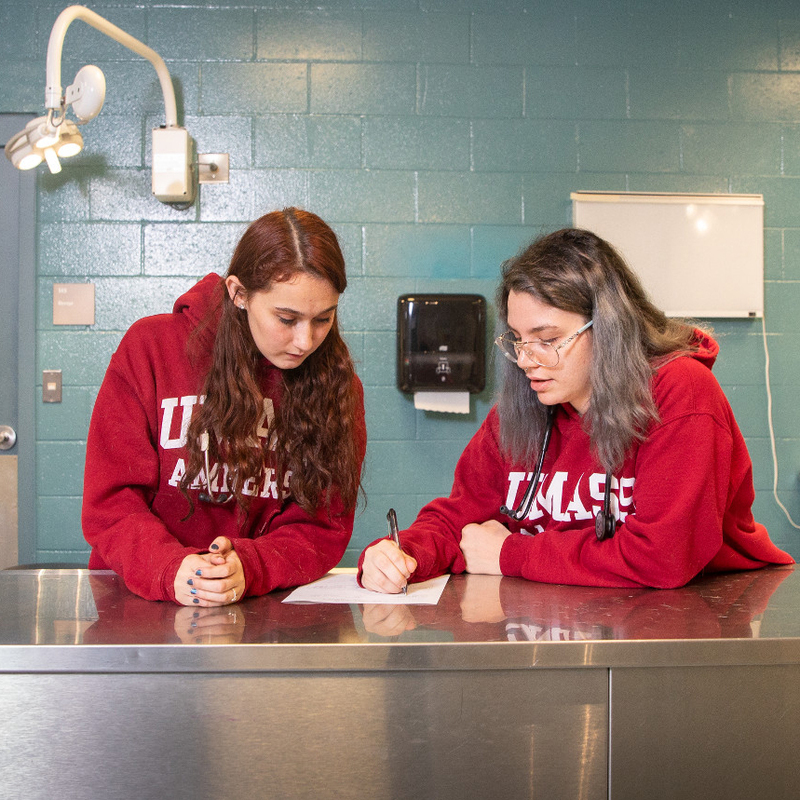 UMass Amherst’s Veterinary Technology degrees are accredited by the American Veterinary Medical Association’s Committee on Veterinary Technician Education and Activities. Students have the opportunity to learn from experienced, caring faculty. 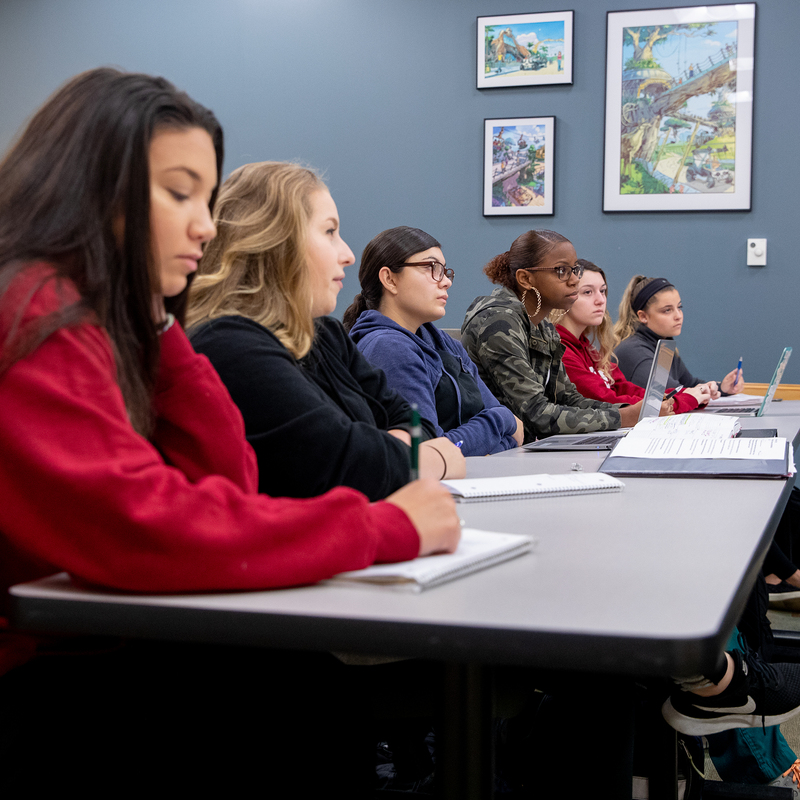 Our faculty come from a variety of backgrounds and many have spent time in practice providing students with real-world examples within the classroom. Learn more about our faculty. In their senior year, students get first-hand experience utilizing their fundamental veterinary technology skills in a variety of areas such as research, laboratory, private and specialty practice. Approved internship sites include: Boston West, Blue Pearl Veterinary Partners, Children’s Hospital Boston, Harvard, and Beth Israel. Students also take academic courses along with their internships. Internships are usually four days per week off campus for the entire school year. The internships are arranged by the student along with the program Internship Coordinator and Clinical Site Coordinator. Office and hospital procedures, client relations, using oral, written, and decision-making skills. Understanding the pharmacologic aspects of medications, including prescribing, administration, and patient response. Nursing care of a variety of species of animals including areas in husbandry, nutrition, preventative care, animal behavior, therapeutic techniques, and public health. Anesthetic management and surgical procedures including post-operative care and dental prophylaxis. Recognizing, managing, and utilizing clinical techniques in emergency and critical care medicine. Laboratory procedures including lab safety, analysis, and identification of specimens in microbiology, parasitology, and veterinary clinical procedures. Safely and effectively producing diagnostic radiographic and non-radiographic images. Factual and conceptual information in laboratory animal procedures and facility management. Each year, Mount Ida's teaching animals are adopted out to their forever homes. Learn how you can adopt a cat, dog, or pocket pet. On this page, in accordance with guidelines from the AVMA, we report the three-year pass rate for the Veterinary Technician National Exam (VTNE) among graduates of the Veterinary Technology Program at the former Mount Ida College.